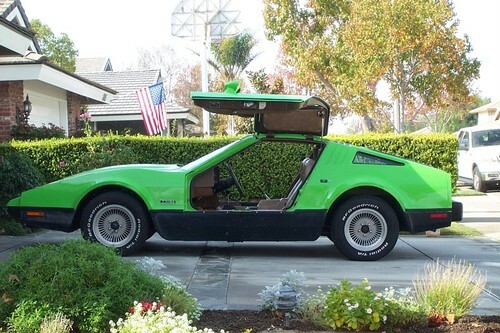 My story on 1976 Bricklin VIN 2914 goes back 30 years to the spring of 1978. A person I knew at the time had purchased 4 new 1976 Bricklins that arrived at his place of business around April or May of 1978. 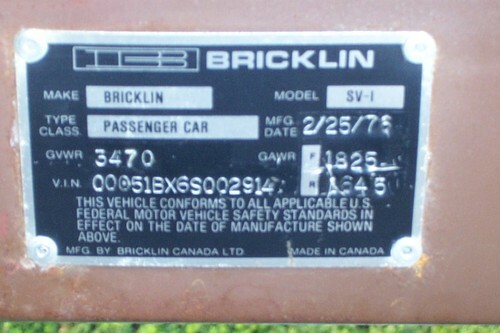 The 4 Bricklins were VIN's 2908, 2910, 2911, and 2913 ( photos of these 4 1976 Bricklins are on this website ). 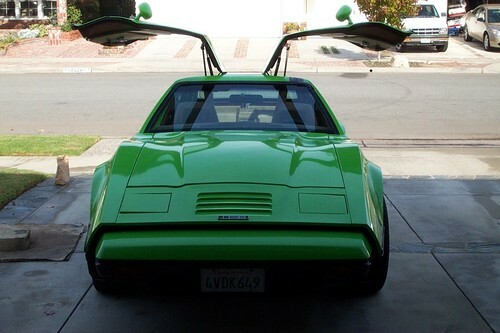 I was at his place of business on the day the 4 cars arrived, having been trucked from New York to California. 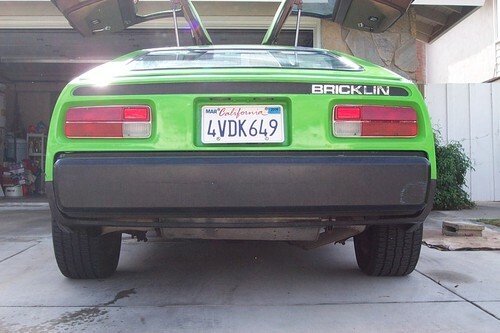 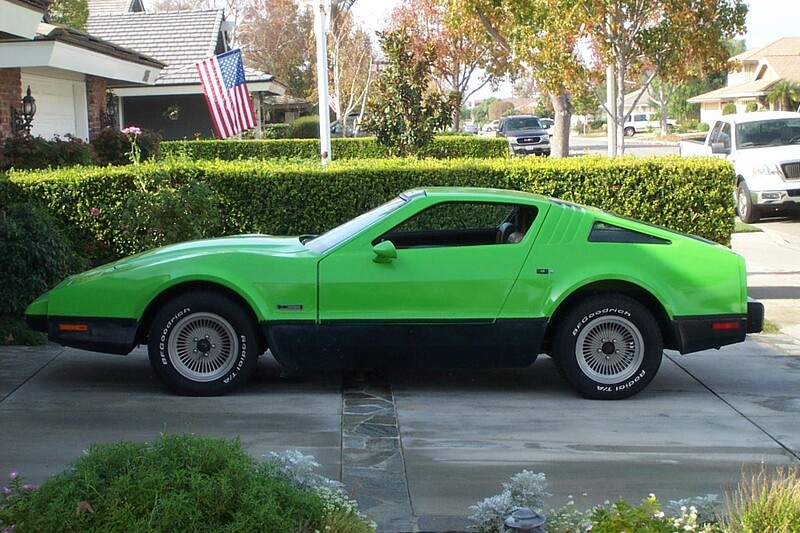 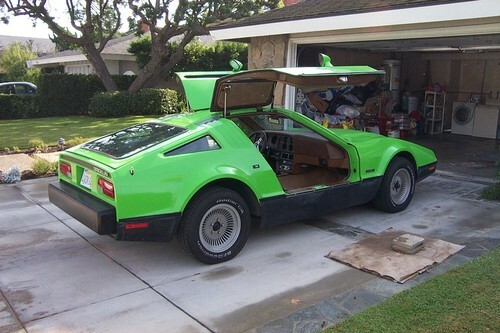 I remember looking over the 4 Bricklins, and asking him if VIN 2913 was the very last Bricklin. He replied that no, the last one was green, and the person he bought the 4 '76 Bricklins from, was keeping it for himself. So I figured it had to be at least VIN 2914 or higher. 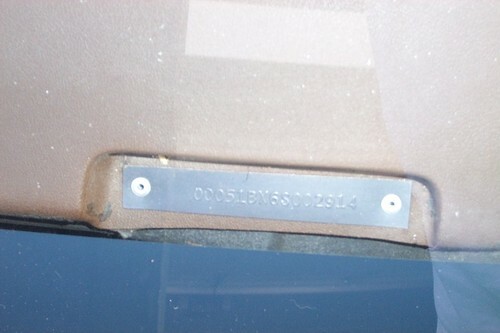 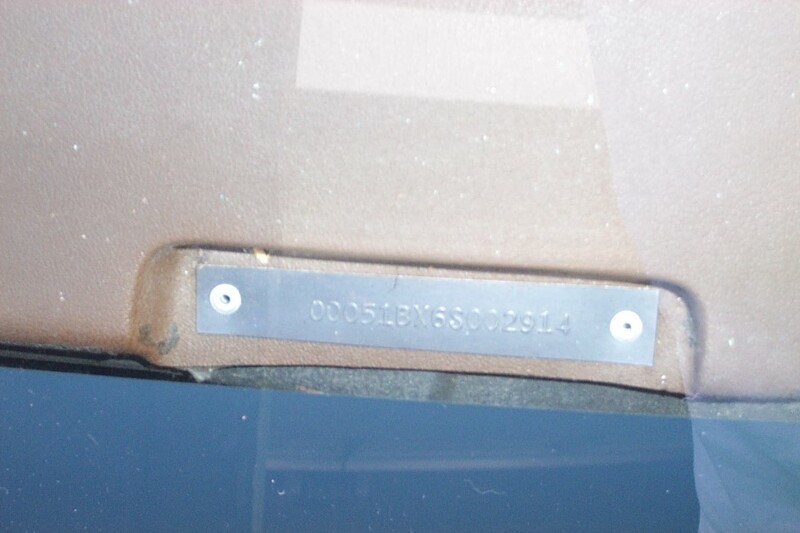 On November 22, 2008, I was given the opportunity to inspect, look at, and photograph VIN 2914. 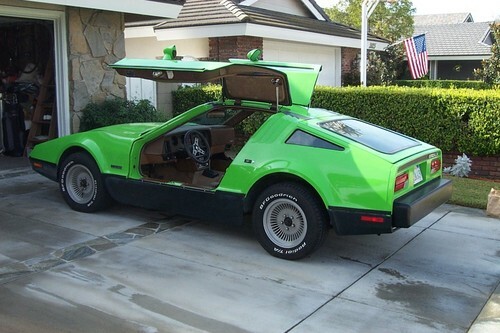 After having gone over the car carefully, I am convinced that this was the Bricklin spoken about to me 30 years ago. The day I saw VIN 2914, I was able to inspect the body panels, and there was overwhelming evidence to me that all the panels on this car were original Safety Green, with green paint over the green acrylic, and I am confident, that this car was originally built as a Safety Green 1976 Bricklin, despite that the data plates on the car are stamped as a Suntan Bricklin. 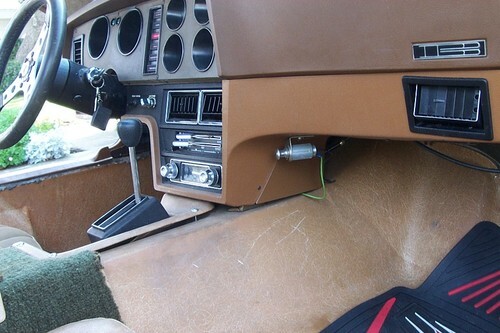 - Senior Editor / Webmaster. 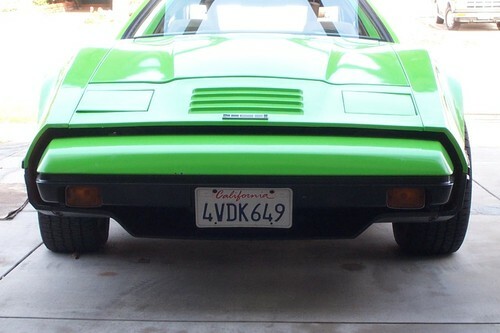 VIN 2914 , showing the front scoop, as built . 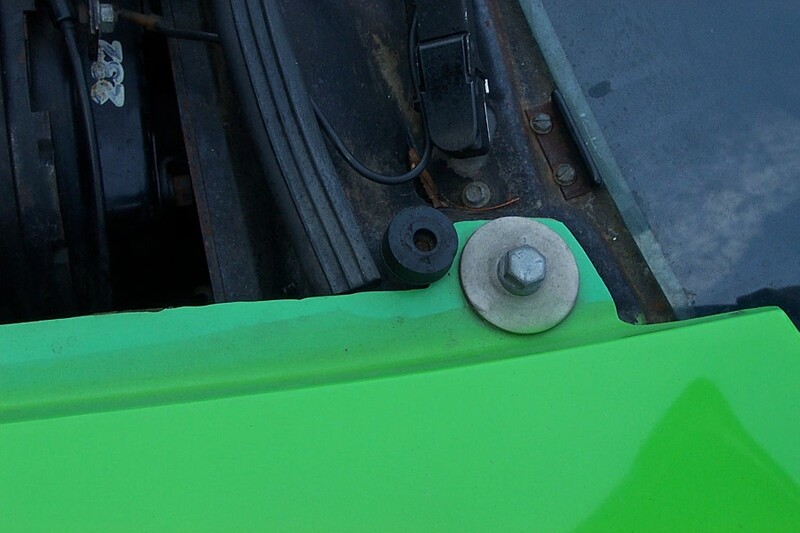 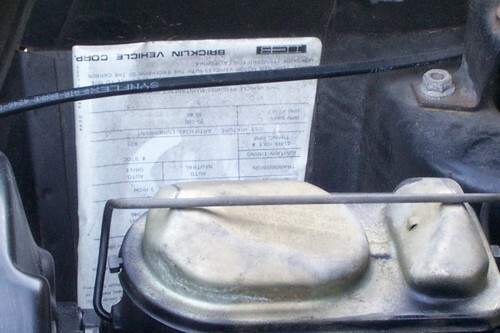 The front scoop, reportetly replaced the front spoiler from VIN 1965 on. 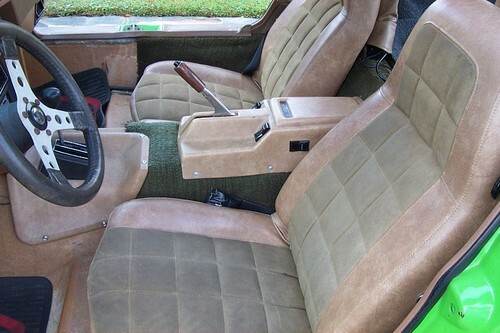 Late 1975 / 1976 buttonless seats, with 1976 center console, VIN 2914. 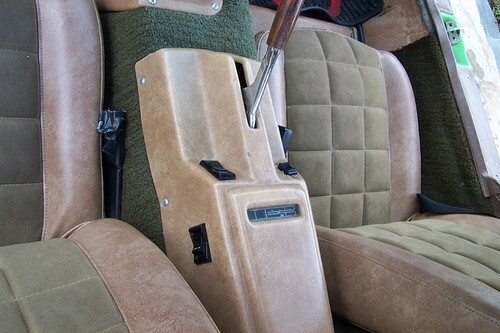 1976 center console ( with padding on top ) and elongated Bricklin " B " logo emblem, along with late 1975 / 1976 buttonless seats. 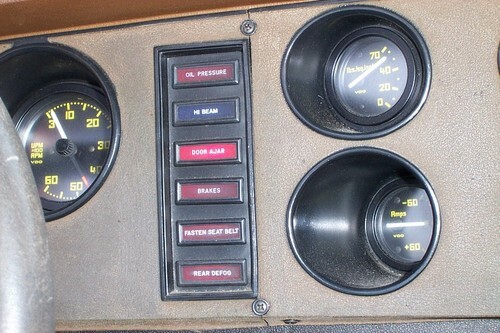 1976 Bricklin SV-1 Desert Only , Cooler, With circle arrow , dash plate. Side view 1976 hi beam control on the steering column. 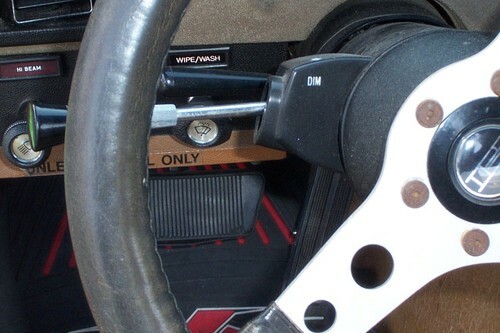 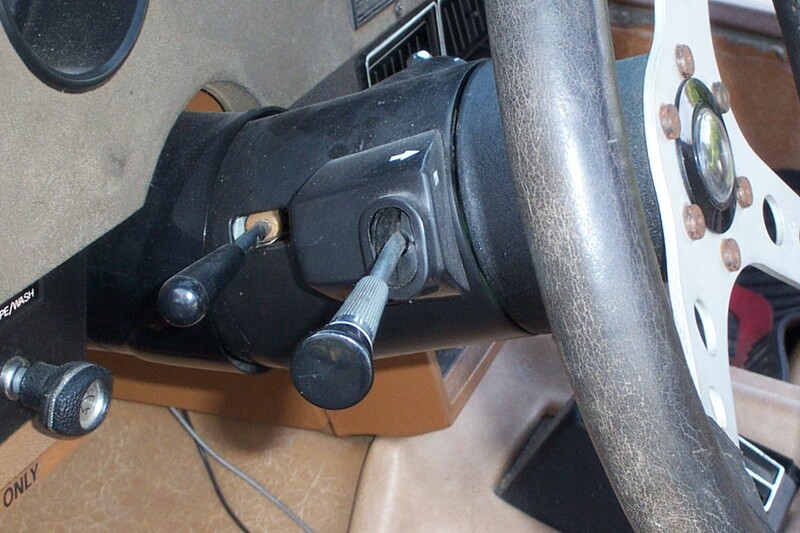 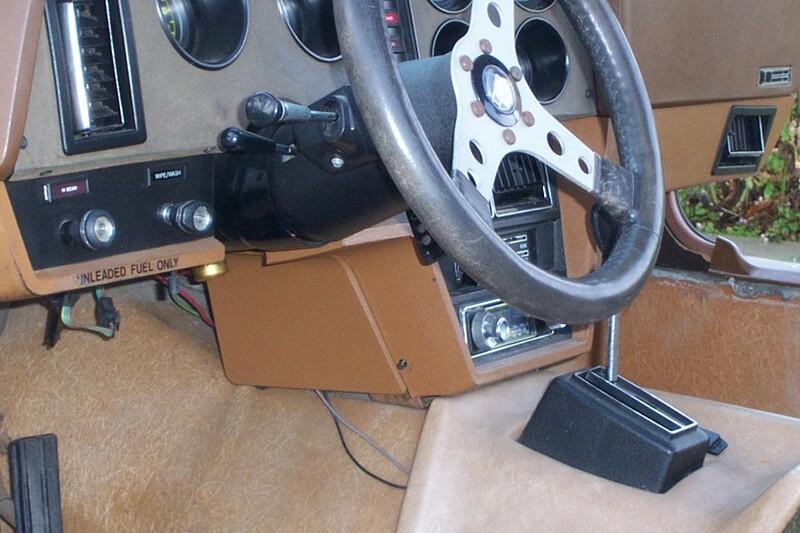 On the 1974 and 1975 Bricklins, the hi beam control was activated by pressing a small button on the left corner of the floor with the drivers left foot. 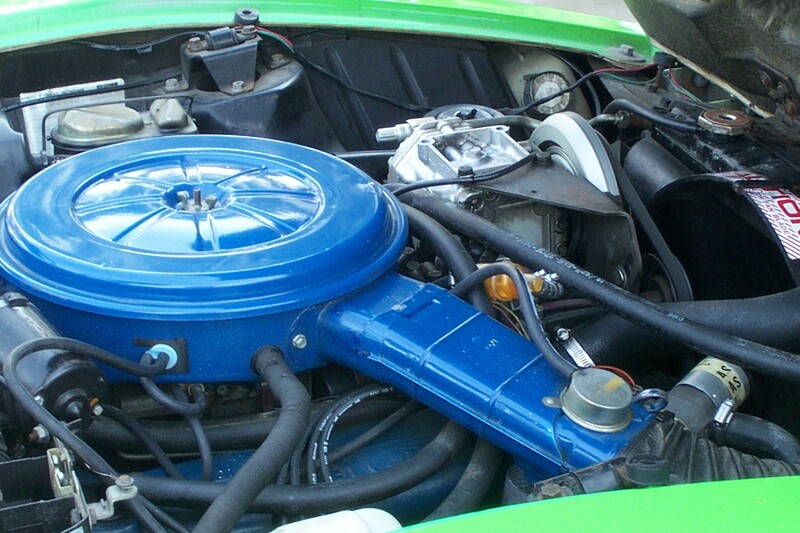 VIN 2914 engine / engine compartment. 1976 Bricklin SV-1 factory radio cover, left side. Right side front fender top with hood open, showing where the paint ends, and the original green acrylic panel ( not painted ) to the inner edge. 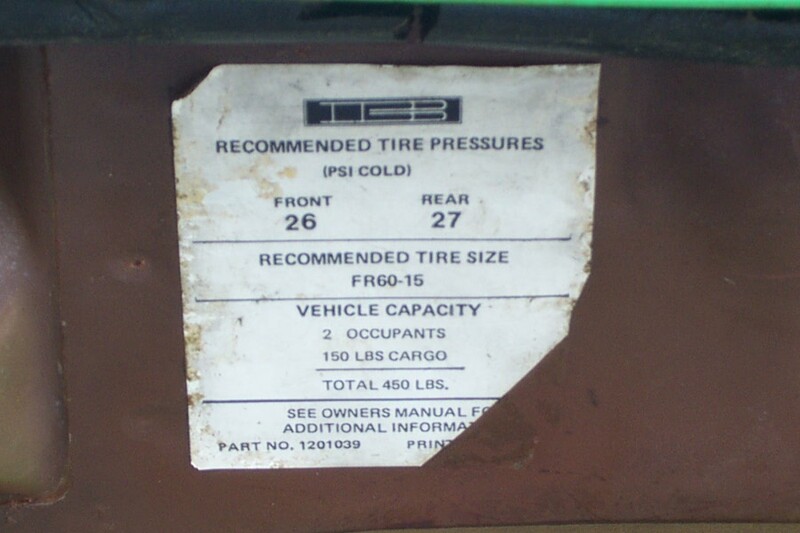 Tire pressure sticker on the drivers door. 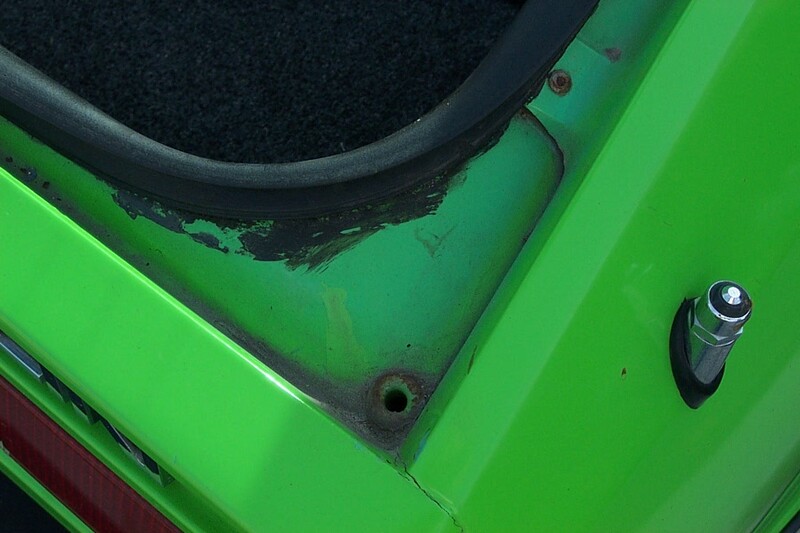 Left hand rear hatch trough showing where the paint ends, and green acrylic panel underneath. 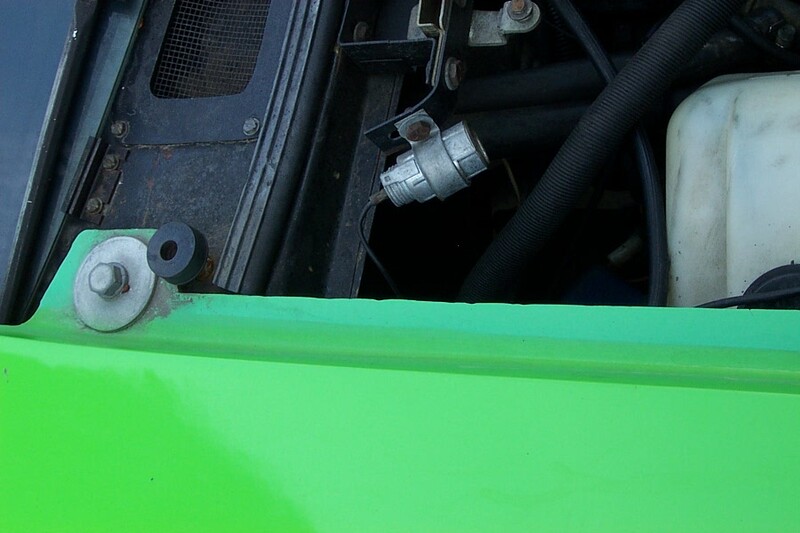 Right hand side rear hatch trough showing where the paint ends, and green acrylic panel. 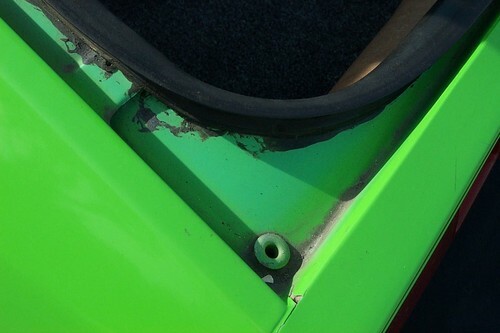 VIN 2914 top left side front inner fender, showing where the paint ends, and green acrylic panel. 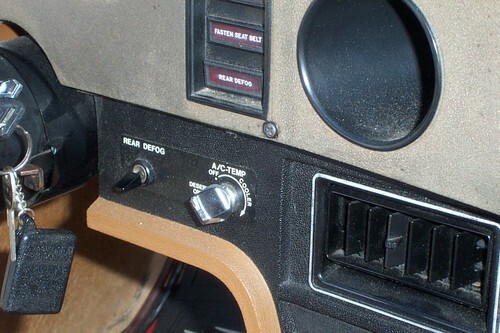 Right hand side, 1976 Radio Cover, factory item. 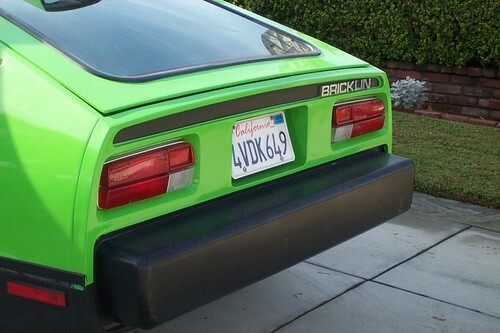 Last Photo, tail panel, VIN 2914, The last 1976 Bricklin, and only 1976 Safety Green Bricklin.